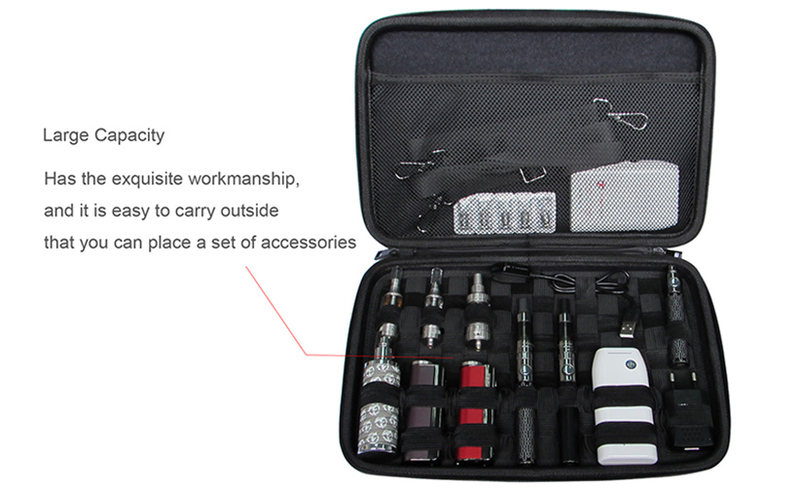 The Fumytech Unikase Deluxe is an extremely helpful and practical travel case for all of your vape gear. The Fumytech Unikase Deluxe is brilliantly designed with a series of adjustable elastic straps on one side of the case, and a large mesh pocket on the other. 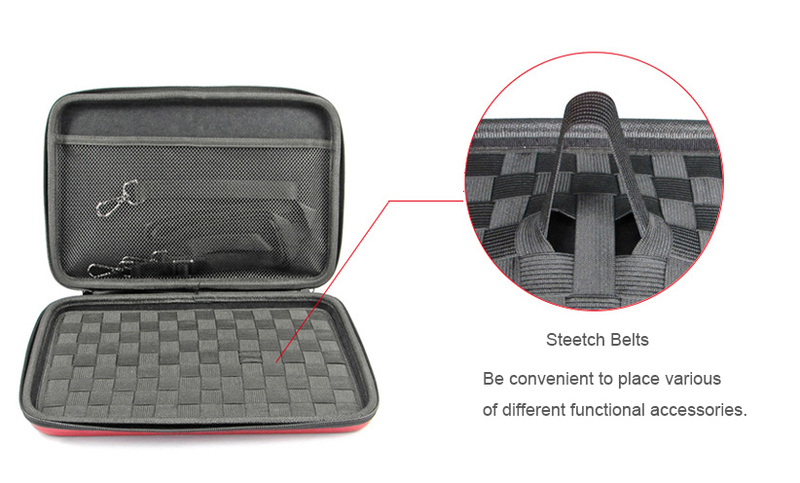 The elastic straps can be made to fit virtually any item you want to securely carry. The expandable straps firmly hold your precious vape gear in place, virtually eliminating the risk of the shifting around while in motion. 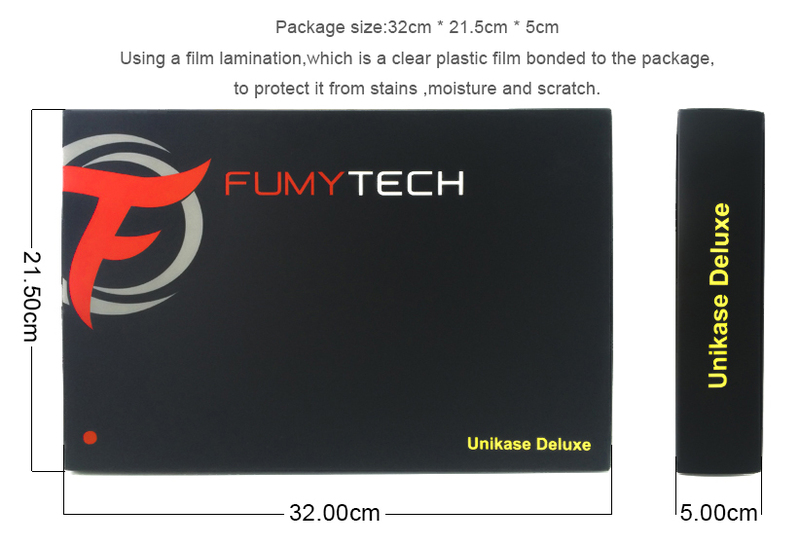 The large pocket on the other side of the Fumytech Unikase Deluxe is designed with mesh netting making it semi-transparent to allow you to easily see the contents inside. The strap portion of the Unikase Deluxe is perfect for batteries, MODs, APVs, clearomizers, RBAs, tanks, tools, glass e-liquid bottles, and virtually anything else you want to keep in place while on the go. The Fumytech Unikase Deluxe closes together with a high-quality zipper for easy access. The inside is lined with cushioning material for your delicate items, while the exterior shell is firmer to provide increased protection. The synthetic leather materials used in this exterior shell makes it both fashion and deluxe. 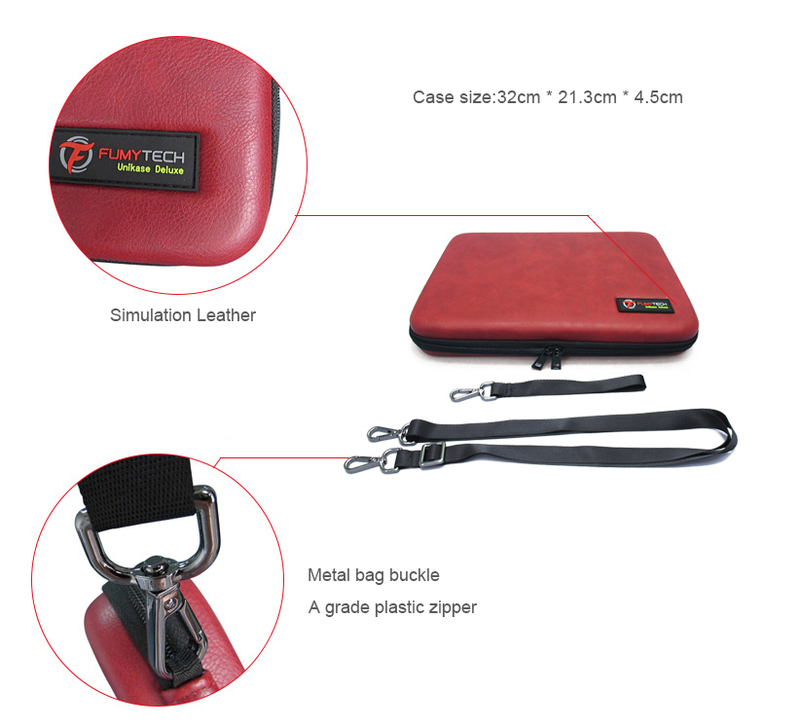 To give it more easy to carry, Fumytech present an shoulder strap along with the case. Buckle the metal carabiner in the edge of the exterior zipper. You can carry it with your shoulder. So convenient way to release your hands. If you are looking for a portable, safe, deluxe, resilient, and extremely versatile travel case for your vaping gear, the Unikase Deluxe by Fumytech is a must have accessory.